Duel Portal reports that to commemorate the start of the Cardfight!! 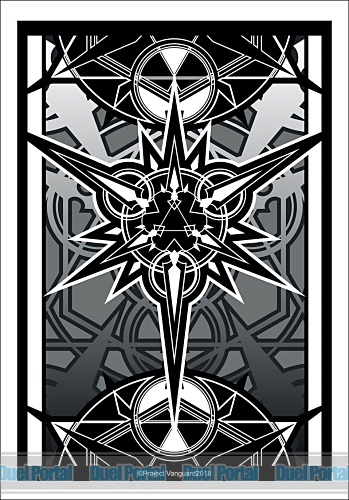 Vanguard reboot in May, Bushiroad is debuting a new minisleeve featuring the emblem for the "Imaginary Gift" mechanic. Although the TCG and anime are beginning again from zero, the Bushiroad sleeve collection series will be continuing from #93 with the Gift design. It will launch simultaneous to V-TD01: Sendou Aichi and V-TD02: Kai Toshiki, on May 11th, 2018. Trial Deck 01: Sendou Aichi and Trial Deck 02: Kai Toshiki will launch in Japanese May 11th, 2018, and in English June 8th, 2018. The first Booster Set of the Standard format, BT01: UNITE! TEAM Q4! will launch in Japan May 25th, 2018, and in English June 22nd, 2018. The accompanying new anime series, codenamed "Origin," will begin airing May 5th, 2018, on TV Tokyo and affiliated stations. It will be simulcast with English subtitles on YouTube and Crunchyroll.